Drs. Wagner and Bhalla have always been committed to providing evidence-based endodontic care for you and your family. All endodontists are dentists, but less than three percent of dentists are endodontists. Endodontists are specialists who have completed additional training beyond dental school. 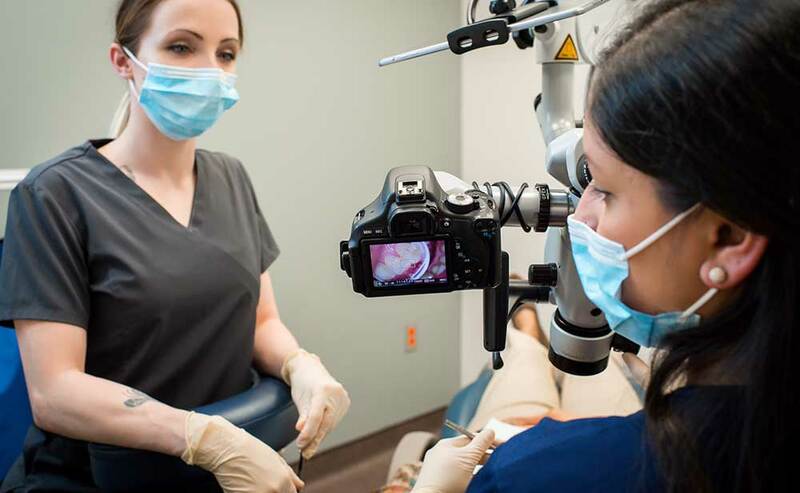 This specific training allows them to be experts in performing root canal treatment and other procedures relating specifically to the nerve of the tooth. There may be a multitude of reasons why someone requires root canal treatment. In most teeth, the tooth has been diseased, and endodontists are trained to maintain the natural dentition by treating the tooth and the nerve using specialized technique and superior technologies. Thank you for choosing London Endodontics. Your initial appointment with us will consist of a consultation first to explain your diagnosis and treatment options. Sometimes we may be able to do treatment at the same visit. If your general dentist has taken x-ray films, you may request that they forward them to our office. If additional x-rays are necessary, they will be taken at our office.  We at London Endodontics strive to provide the best care for all our patients at the most reasonable cost to our patients. As a specialty office, we do not accept direct payments from your insurance. At the completion of your treatment, payment is due for all fees charged regardless of your insurance coverage. For your convenience, we accept Debit, Visa, MasterCard or Cash. We are happy to assist you in determining your insurance coverage of dental specialty fees. Please note that it is the responsibility of your insurance carrier to reimburse you directly. If you have any questions regarding our financial policy or regarding your account, please do not hesitate to contact us. We are dedicated to protecting the privacy of personal and health information of our patients. 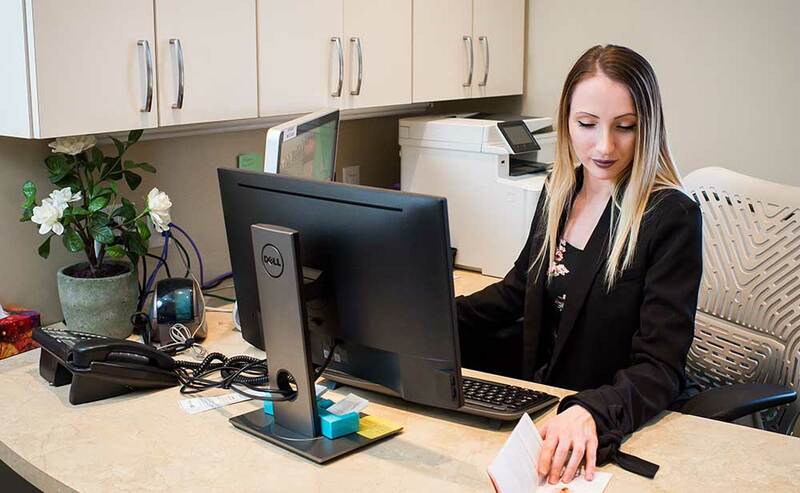 We are committed to collecting, using and disclosing your personal information responsibly as well as adhering to the federal, provincial and Royal College of Dental Surgeons of Ontario privacy protocols. 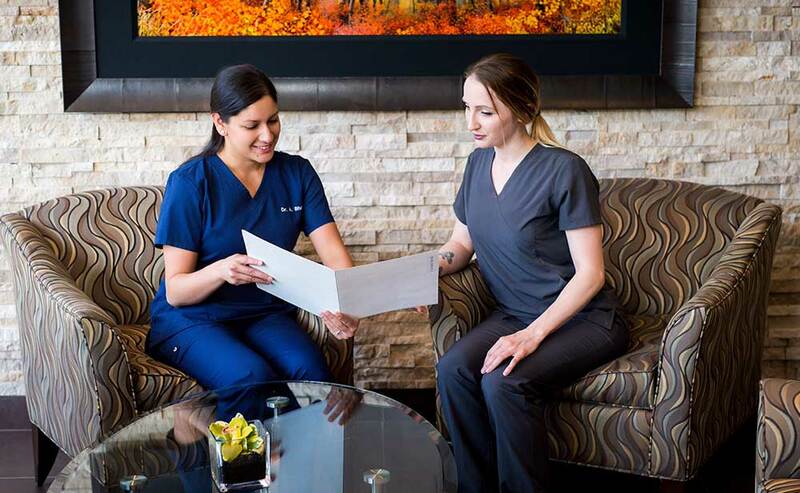 All the information collected at our office is designed so that we can offer the highest level of quality care. All staff that encounter your personal information are aware of the sensitive nature of the material and have been appropriately trained to protect and use that material responsibly.